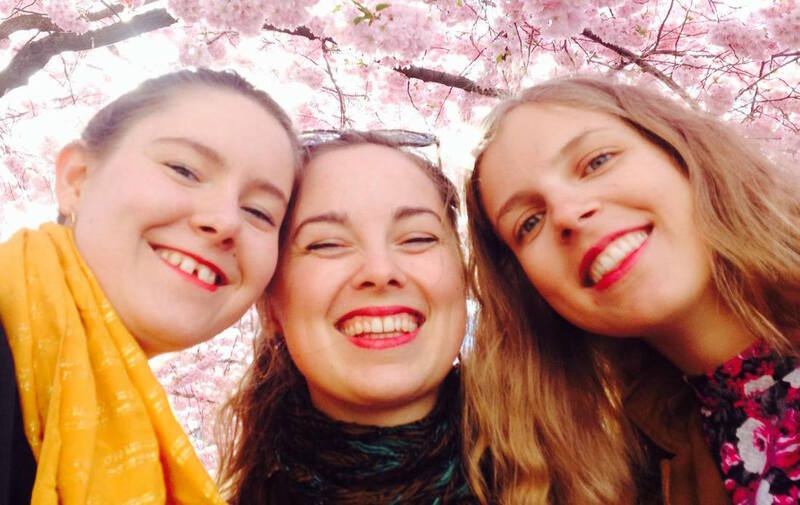 Since 2011, the trio Beata Bermuda has established themselves as a fresh breath of air on the Swedish folk music scene. 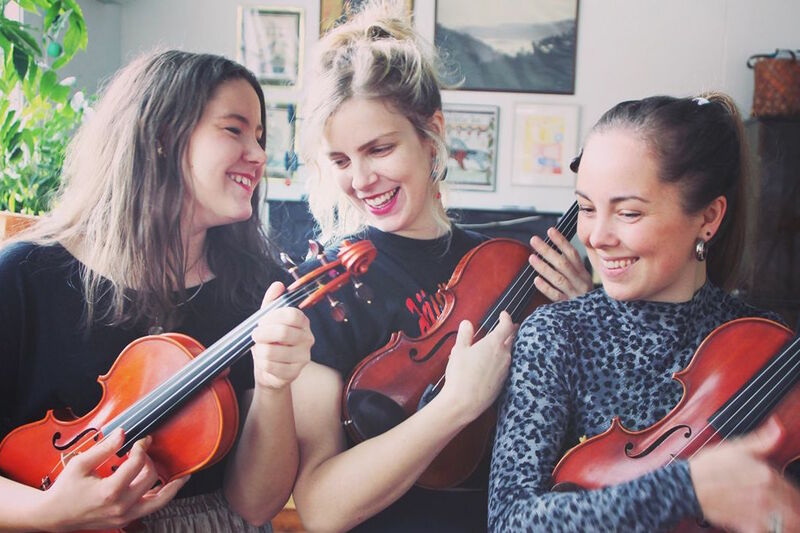 Samantha Ohlanders, Linnea Aall Campbell, and Hanna Andersson met as students while attending the Royal Academy of Music in Stockholm, where their focus became the Fiddle. They received a wide and varied education in many musical styles including traditional folk music of Scandinavia. 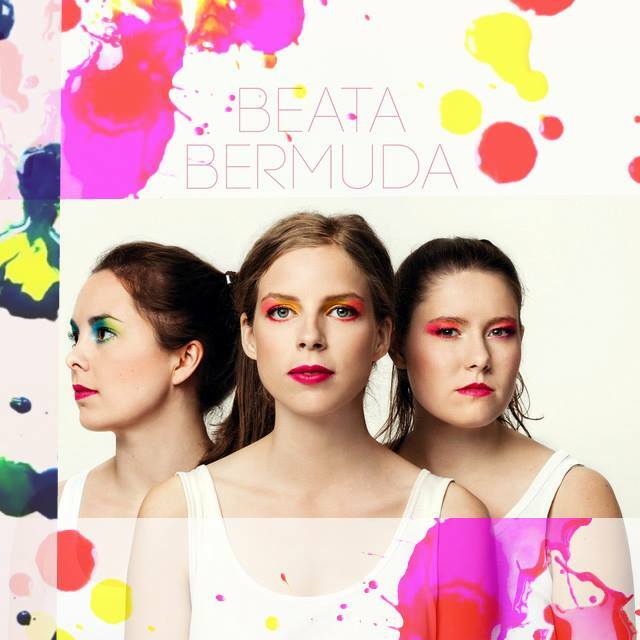 As the group, they have self-composed music for violin, vocals and glockenspiel with features of indiepop, singer/songwriter as well as with a Scandinavian touch, this has given Beata Bermuda their own voices in the Swedish folk music landscape. Beata Bermuda stopped by Folklore Camp for a few days in 2012 as guests artists, and blew us away with their talent and friendly welcoming manner. Their ability to switch between the bands original compositions, to more traditional Scandinavian music for dancing is something to behold. Quite simply, they were delightful and made a big splash at our little camp in the woods! And so... Folklore Camp is thrilled to have them back in 2017 as teachers, and participants in what is bound to be a memorable and unique camp experience! They will be teaching a daily Swedish/Scandinavian Ensemble Class (mostly traditional Scandinavian music, but with some original material too.. what types of instruments can join in? More info. coming soon), three singing classes, and will be playing live music for Roo & Harry's daily dance classes.. busy girls, lucky us! Synergy - three violins and three voices intertwine creating a distinctive groove, nerve and beat in their music. The indie/pop/folk-band has toured extensively in Sweden, Denmark, Germany and California, U.S.A., with great success and broadened the sense of what fiddle music can be. "... strong fiddles with developed vocal harmonies. I think I hear echoes of both American roots music as well as artist Laurie Anderson"- Ulf Gustafsson, UNT..
"... profound lyrics, beautiful, headstrong and ethereal. Clearly gifted." - Peter Ahlbom, Spelmannen..
Click HERE for the Beata Bermuda website.